Tom Smithback smoked for 40 years, burning through two packs a day. Every 10 days, he spent $144 to sustain the addiction, and people who saw him would never have guessed he was only 64. “The smoking was killing me, slowly but surely,” Smithback said. But he didn’t fully realize what damage it had done until June, when he discovered electronic cigarettes and started “vaping” instead of smoking. Within a month, he had quit tobacco cigarettes entirely. His blood pressure dropped from 145/80 to 122/62 and his sinuses cleared up. He feels better in the morning and he looks years younger, according to those who know him. Smithback still vapes daily (twisted peppermint is his preferred flavor) and is now looking forward to life beyond is 70th birthday. Stories like Smithback’s are common among Wisconsin’s vaping community as regular smokers switch to vaping and urge others to do the same. But while researchers and health officials acknowledge the potential for reduced harm by switching, they are often far more concerned about the still-unknown dangers e-cigarettes and vaping could trigger. “The problem is that we don’t have enough evidence right now to make a strong perception,” said Megan Piper, a researcher with University of Wisconsin-Madison’s Center for Tobacco Research and Intervention. The past few years have brought hundreds of studies, commentaries and news articles about electronic cigarettes, yet they are still described by opposing sides as either an incredibly effective method to end smoking or the next major public health hazard. Both sides agree more independent research is needed. 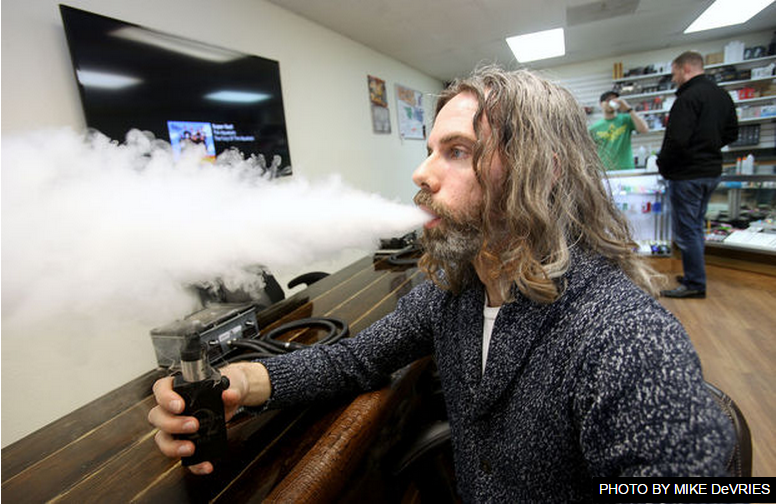 Dino Spinelli, co-owner of MadTown Vapor in Cambridge, doesn’t contend vaping is better for you than giving up smoking altogether, but in comparison to cigarettes, most users say it’s a stark improvement. By kristinnollmarsh in News on April 1, 2015 .